The Election Commission is planning to hold Uttar Pradesh(UP) Assembly polls in February along with that for Uttarakhand and Punjab, in what may deal a blow to BSP boss and UP chief minister Mayawati who is not keen to have the polls brought forward. 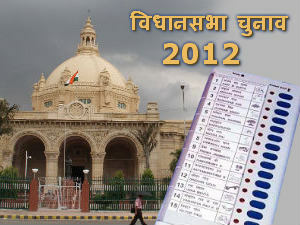 Sources said the commission is looking at a 9-phase schedule for UP which may stretch into March. The three states are likely to go to polls in February, government sources indicated. UP assembly's tenure ends in May and bringing forward the polls in the state will prevent Mayawati from capitalizing on her absolute majority in the assembly to send a large BSP contingent to Rajya Sabha.